Valerie Harper has terminal brain cancer. Yes that adorable boy in the color blocked sweater is the man who would become Teen Wolf 2, Jason Bateman. Don’t worry folks, my mom raised me right and I won’t be making a snarky comments. I LOVE Valerie Harper. Though I am a little ashamed that my generation’s first impression of her was not as Rhoda Morgenstern on The Mary Tyler Moore Show and then the eponymous Rhoda. No, we loved her for playing Valerie on Valerie, where she was mom to Justine Bateman’s brother Jason (and two other actors who don’t even have wikipedia pages!) and wife to Dylan McKay’s dad/Roman on Days of Our Lives. Sure, Valerie was great. And then after two seasons the producers actually killed Valerie off due to contract disputes. But the show must go on, and the powers that be cast the female Columbo, Sandy Duncan*, as the aunt that would now raise Valerie’s family. 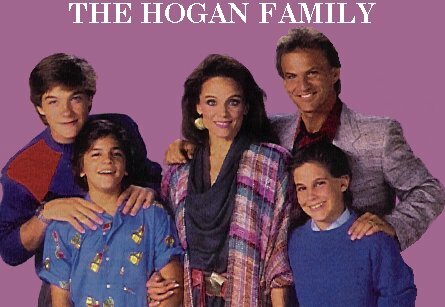 The show was rechristened, you got it, Valerie’s Family, and later on The Hogan Family. It was like Valerie never existed. Even 12 year old me was not cool with that. So despite her absence on my tv, Valerie Harper has always been in my heart. I am wishing her and her family peace and happiness as they travel this journey together. And watch this and travel back to 1986. Good times. *Sandy was only alleged to have a glass eye like Peter Falk, turns out it was just an urban legend, but why be accurate.